Warning: this post may make your heart swell up to ten times its size, causing an intense release of projectile tears of happiness. It’s been about a thousand years four months since I’ve posting anything other than nails and book reviews, but when I read about Twitter’s Dancing Man, I knew that I had to. After I finished sobbing into the arm of my couch and then rehydrating, that is. 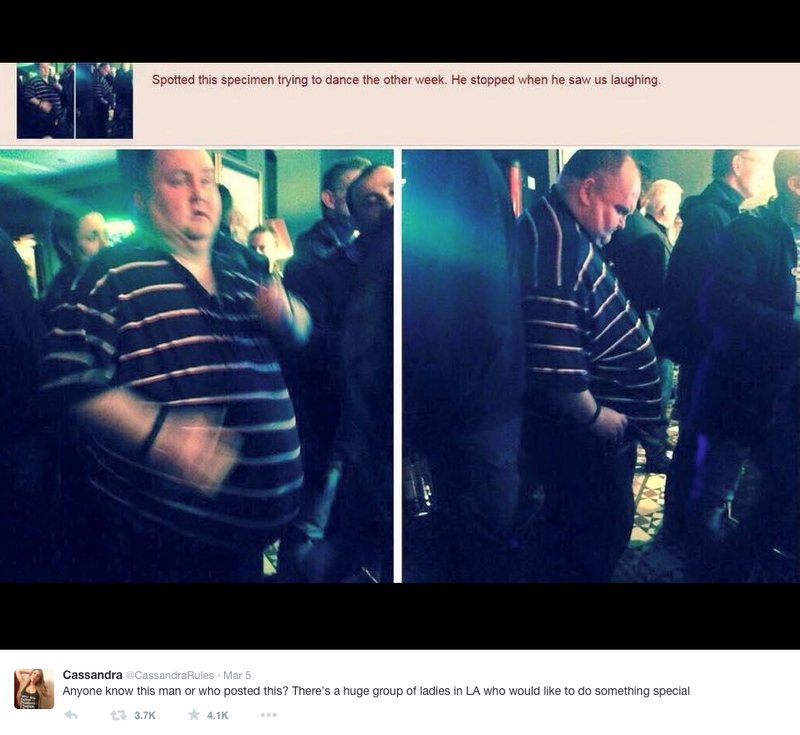 Articles are popping up everywhere, but for those who haven’t heard, a few days ago, a very kind soul named Cassandra, noticed a post on 4chan that ridiculed a man for dancing (at a concert!!!). Unfortunately, these kinds of mean-spirited posts are all over the place. I've seen 'em. And let's keep it real; you have to. 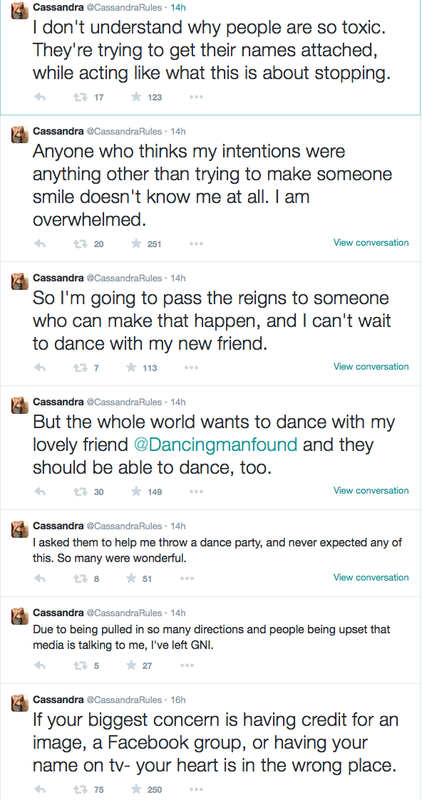 But instead of frowning, silently condemning the awful-ness of the post, Cassandra decided to do something different: she tweeted out the 4chan photo, asking if anyone knew him, with the hashtag #finddancingman. Because everyone should be able to dance. And then, Twitter blew up in the most marvelous way possible. In less than one day—twenty-four-hours!—not only was the Dancing Man found, but the original number of 1,727 women grew to 2,000! Even better? Some amazing music artists stepped up, saying they’ll play for free! I'm talking about Moby and Pharrell, with other offers still coming in! Plus, they shared their own words of love, kindness, and respect for a man who’s probably been on the receiving end of maliciousness for quite some time. It’s proof that there are so many wonderful people in the world--ones who have no problem reaching out to a total stranger, to show them that they matter. But then I woke up this morning and saw that Cassandra's intentions are now under attack. 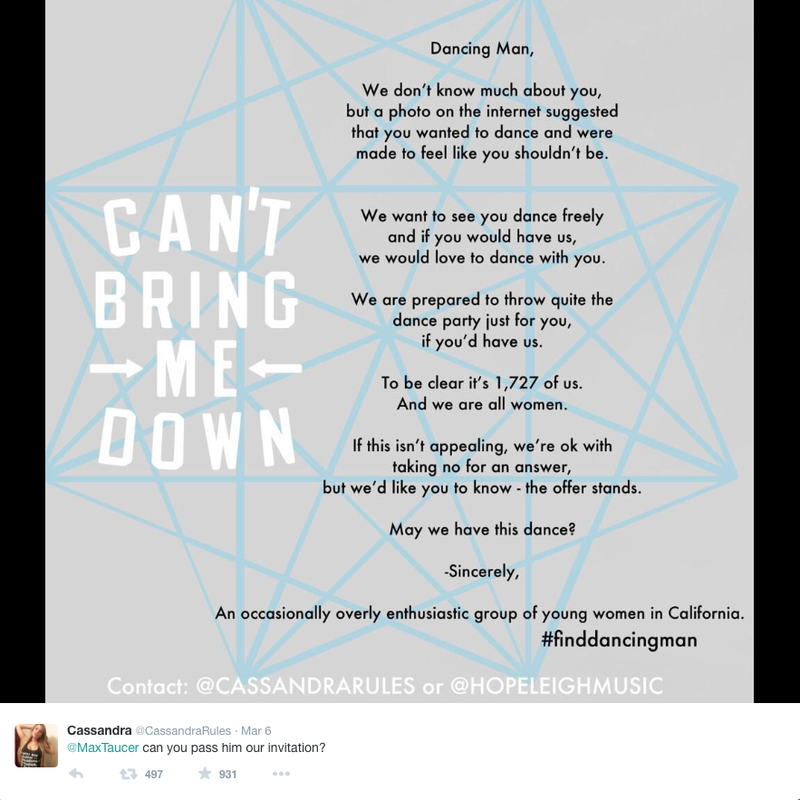 So much so, that she's stepped away from her group--the group that originally offered to throw Sean's dance party. Again, she's being attacked for doing something amazing. So yeah. If there wasn't reason enough to pass this story along before, now there's even MORE of a reason. Because love should always trump hate, guys. Always. Let's keep this story positive and not allow trolls to change the tune. 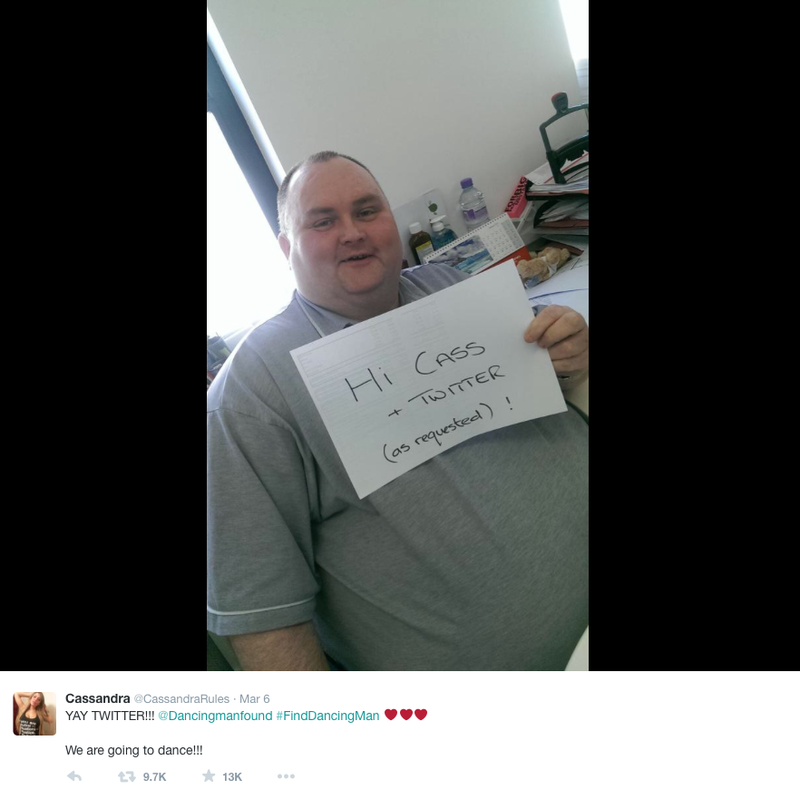 Also, maybe you could pop over to Twitter and shoot Cassandra a message? I feel very confident that if we all band together, we can make more noise than the haters. Dance on, Sean (and everybody else)! Thank you for putting this on my radar! The dancing man had an experience myself and many, many people I know have had. And to step up in solidarity is amazing. And to lead the charge is amazing. The haters may be loud and they may be many, but the vast majority of them are also cowards and dancing trumps cowards (just as you say, Love > Hate). I'm definitely going to support Cassandra!